Despite a month which has seen much talk of possible green shoots of recovery in the economy, it is the government parties that remain under pressure in this most recent Sunday Business Post/RED C tracking poll. The poll, taken between the 6th and 8th of September, and published the weekend before the Dail is due to start back after their summer break, shows both government parties losing share. Fine Gael first preference support falls back by 1%, to leave the party securing 27% of the first preference vote; while their coalition partners Labour also lose 1% share, leaving them securing just 10% of the first preference vote overall. These are relatively small shifts, and well within the margin of error between this poll and the last, but the overall trend for both parties this year has been downward. 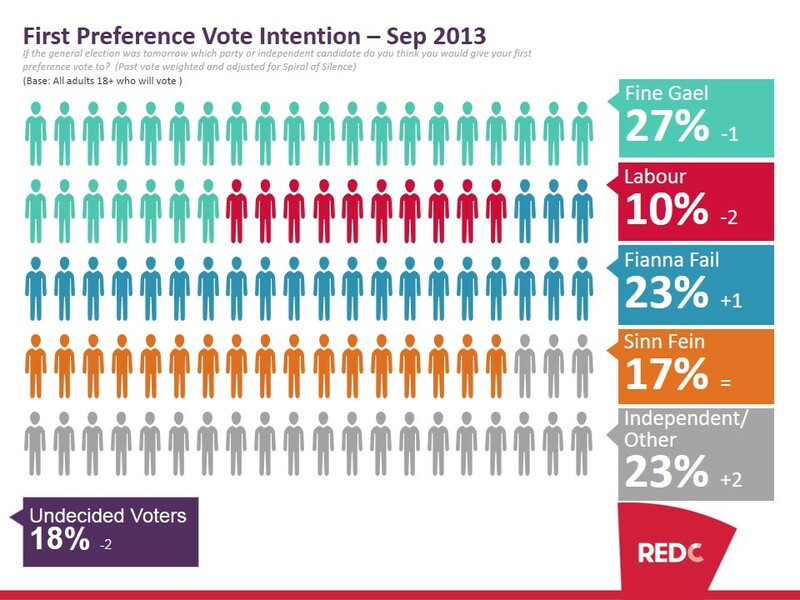 This is perhaps more the case for Labour than Fine Gael, whose support at just 10%, is the lowest seen in a RED C poll since October 2008. It continues the gradual decline in support seen for the party since the last election, with between 4-5% of support lost each year over the past two years. There had been some signs of a mini revival in the parties’ fortunes before the Dail closed for the summer. 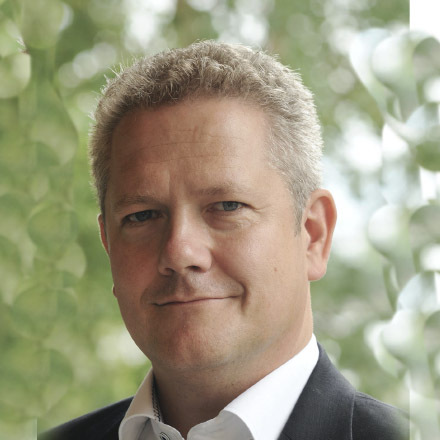 That has been short lived for the party, and the need for further signs of an improving economy, may well prove vital for the parties’ fortunes over the next year. For Fianna Fail the small 1% gains this period, leave the party securing 23% first preference support. The party will be pleased to see that the negative impact that the released Anglo tapes had on support has begun to be clawed back. Small gains this month, plus that fact that a large chunk of undecided voters (35%) remain past Fianna Fail supporters, provide a positive platform for the party to regain the support it had secured in May. 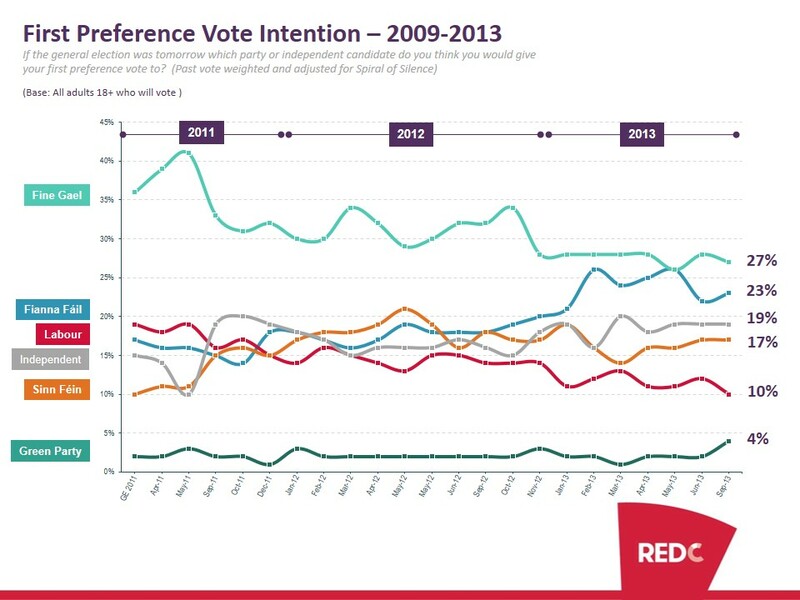 Sinn Fein also have a relatively good poll, retaining support at 17%, after gains made in the last poll. The party has achieved higher support since the last election, in the first half of 2012, but this was at a time when they were the only party supporting a No vote at the ESM Treaty referendum, and therefore has significant media coverage. Finally Independent, Green, Socialist and Other parties make up 23% of the first preference vote. When we split this vote into its composite parts, in fact Independent candidates on their own have lost support. They took 18% share of the vote in June and here see a 2% fall in support to leave them securing just 16%. Green Party support also sees some gains. Anecdotal evidence does suggest that leader Eamon Ryan has received quite a lot of coverage during the summer. They are also the only other party apart from Fianna Fail who are supporting a No vote in the Seanad Referendum. Before we get too excited about gains for the Greens however, they have really only increased support by just over 1% when we look share to two decimal points, rather than rounded to one number scores.